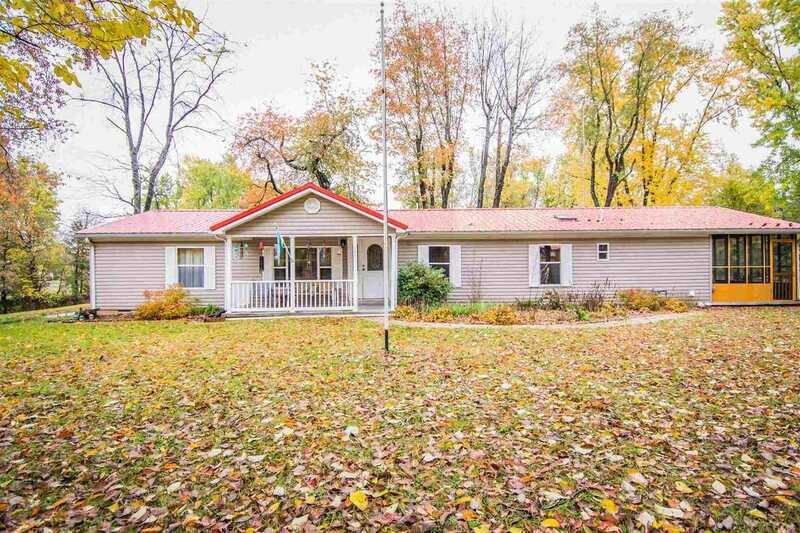 Sitting on approx 2 acre wooded lot with stocked pond, this 3 bedroom, 2 bath home is a great deal. Updated flooring, newer metal roof, entire house freshly painted, new laminate flooring, new carpet in 2 bedrooms, new Culligan water softner and water purification system, new 3 ton central air unit, and new subway tile and backsplash in kitchen. Relaxing on the 10x26 screened in porch is a terrific activity for summer, or sit by the fireplace in the family room on colder days. Features include garage, carport, storage building, vaulted ceilings, crown molding, skylights, large master suite and much more! Budget billing for electric $204.00 a month. Directions:Follow Hwy 67 thru Edwardsport, turn right onto Hamson Street, turn left onto 3rd, home on ther right. SchoolsClick map icons below to view information for schools near 206 N 3rd Street Edwardsport, IN 47528. Listing provided courtesy of ROBIN MONTGOMERY, F.C. TUCKER EMGE REALTORS.